Built-in Clearpulse Digital Sonar is available as an option on eS-series, a-series, e-series, and c-series displays (transducer sold separately) or can be added to any Raymarine multfunction display by networking the CP370 Sonar Module. Sharper, Clutter Free Targest: Smarter target intensity controls reveal bait and game fish with exceptional clarity. 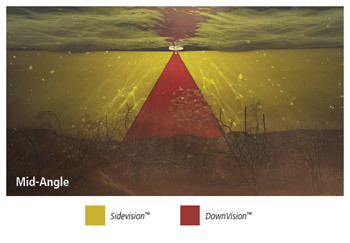 Enhanced digital filtering reveals fish targets through the entire water column. Go Deeper Up to 1,000 watts of power to track the sea floor down to 5,000 feet (1,500m). High performance dual-frequency (50/200 kHz) sonar for coastal and offshore fishing. Accurate Bottom Tracking: New and improved bottom tracking algorithms deliver reliable performance in challenging conditions like running at high speeds and transitioning across canyons. Built-in CHIRP DownVision Sonar is available as an option on eS-series and a-series displays (transducer sold separately) or can be added to any Raymarine multfunction display by networking the CP100 Sonar Module. Raymarine's CHIRP DownVision delivers a photo like view of the world beneath your boat, allowing you to image bottom structure with amazing detail and target fish simultaneously. Unlike conventional imaging sonars that transmit a single frequency with each pulse, CHIRP technology transmits across a wide spectrum of sonar frequencies with each pulse - the result is much higher resolution, photo-like sonar images. Raymarine's SideVision™ Sonar Module is included in some eS-series and a-series packages or can be added to any Raymarine multfunction display by networking the CP200 Sonar Module. The CP200 CHIRP SideVision Sonar expands your underwater horizon with crystal-clear, bank-to-bank displays of fish, bait and underwater structure. Engineered with the same CHIRP sonar technology as Raymarine's award winning DownVision, the CP200 uses advanced CHIRP signal processing technology to let you see further, see more clearly, and detect more fish than traditional side scanning sonars. Raymarine's RealVision™ 3D Sonar is built-in on some Axiom series models. Gyro-Stabilized Sonar Technology compensates for boat movement, delivering life-like 3D sonar imagery. RealVision 3D All-in-One Transducers combine CHIRP DownVision, CHIRP SideVision, High Frequency CHIRP, and RealVision 3D into a single transducer housing. 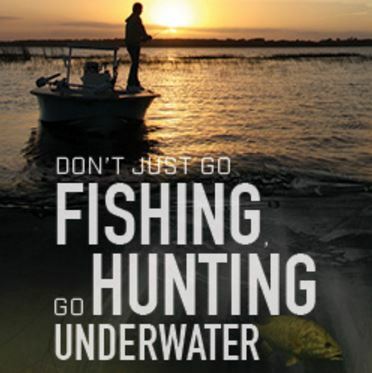 Wide Spectrum CHIRP Sonar Transmits on 60 different frequencies for the most life-like sonar imagery and simply the best fish targeting – hands down!